CLIC Sargent's Participation Programme helps children and young people with cancer aged seven to 24 to have their say about their cancer, treatment and experiences. This helps children and young people with cancer to shape and influence CLIC Sargent’s work and the work of other providers, so that they get the support they need. In 2013 children and young people shared their views and experiences through 191 separate age and ability appropriate opportunities which have influenced our work across all departments and at all levels. Feedback shows that 100% of those who participated valued the experience and would recommend taking part to others. 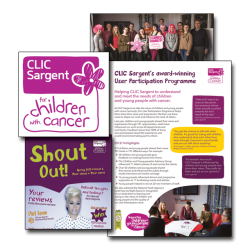 CLIC Sargent’s participation programme launched in 2009/10, and the participation strategy in 2010/11, to ensure the views of children and young people influenced the charity’s work. The participation programme helps children and young people with cancer to have their say about their treatment and experiences. This helps them shape CLIC Sargent’s work and that of other providers, so that they get the support they need. By providing age-appropriate opportunities for children and young people to share their views, the participation programme helps the charity meet its first objective: to understand and meet the needs of children and young people with cancer and their families. The project had a number of objectives, among them ensuring that participation activities are integrated, and planned and delivered appropriately. CLIC Sargent committed to measuring, understanding and reporting on participation opportunities, ensuring the effectiveness of the Children and Young People’s Advisory Group (CYPAG) in influencing decisions, and developing and promoting opportunities for children and young people to share their views and feed into decision making. Communications were also key. 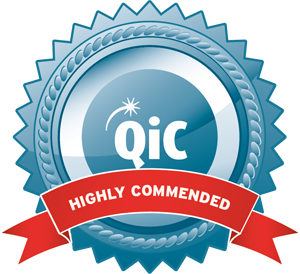 Objectives including enabling children and young people’s participation through virtual and written media and supporting them through the charity's external communications. The project also undertook to ensure that their views contributed to the development of the service-user feedback.